I took a day off my schedule to integrate my experience of the higher worlds of the Mothership. I was in and out of meditation most of the day. Then as the day came to a close, I had a special visitor enter my quarters. At first, I thought I was dreaming, but I didn’t care because the visitor was Mytria. When I saw her, I jumped up from my chair and rushed to greet her. I spontaneously embraced her and was surprised to feel here as a solid form. An unreadable look crossed her face and she disappeared. I was so happy to have held her, that I did not experience my former grief and guilt. Perhaps, I had healed that portion of my dark side and able to experience life for exactly as it was revealed to me. “Who will be my partner?” I asked. “You just met her.” Said the Arcturian as it beamed from my quarters. What was it talking about? I had been in my quarters all day and had not met anyone. “Are you sure?” I heard the Arcturians voice within me. Was it talking about Mytria? She had just bi-located to me. How could we go on a Mission together? There was no answer again. This was obviously something else for me to figure out. Perhaps I could bi-locate to be with her and I could ask her directly? I had been in meditation for much of the day, so bi-location was quite easy. However, when I went to the Sacred Rock, she was not there. When I walked to the lake, she was not there either. Perhaps I should just hold the feeling of her in my Heart-Mind and bi-locate directly to her. It was very simple to feel her within my Heart-Mind, as she was always there. I had never gone from one place of bi-location to another, so this was a new experience. First I felt the comfort of the Lake around me. Then, I sent a line of energy to my body in my quarters in the Mothership. Then, I felt the great love I have for her and focused my attention on that feeling. At first, I felt nothing, but gradually, I felt as though I was moving at a very fast pace. Somehow I knew to focus on the inside of me rather than my environment. I made sure that my essence by the Lake joined my essence that appeared to be moving very quickly. I relaxed and allowed my perceptions to tell me where I was. I felt as though I had reached solid ground, but it was moving. Then, I heard the familiar distant hum of a Starship and heard the most wonderful sound ever. “I am to be your new partner.” Mytria said with a broad smile. Of course, I could not sleep the entire night. But I did enter into a very deep meditation to prepare for our impending assignment. The ability to partner with Mytria was the best experience I could imagine. When Mytria and I met at the Landing Dock, we embraced, somewhat formally, but our hearts returned to ONE. I rushed her off to my quarters where we could greet each other more intimately. This meeting was more intense than ever before as we had both joined with our multidimensional expressions and experienced higher frequencies of reality. We journeyed together to share the myriad worlds we had each known. Fortunately, our inter-dimensional journey was outside of time, for as we returned, we realized that we had to instantly go to the Briefing. We managed to calmly walk into the Briefing Room and find our seats towards the back of the room. Shortly after, two Arcturians, a Pleiadian and a Sirian came into the room. One of the Arcturians was my friend and guide. It was the first one to speak. As you look around the room, you will see that everyone here is a couple. In fact, they are Divine Complements. At this juncture of the human’s ascension process, Divine Complements will begin to recognize each other and connect either in form or in essence. Hence, you will meet the Earth ascending ones as Complements to assist them in connecting with their own Complements. However, first you will give education, information and support. Your initial task is to communicate with them telepathically and via their expanded perceptions. 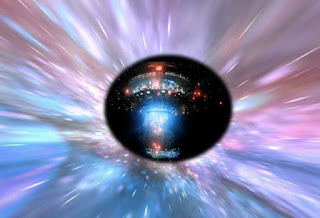 In this manner, those who have regained their connection with their Multidimensional SELF will learn to be the liaison between you, the Galactics, and the other humans who have not regained connection with their true SELF. Therefore, the landings are about to begin, but initially they will take place within the consciousness of the ascending ones who can be aware of our presence. We begin in this way because there are still many who are unable to accept the importance of this Cosmic Moment. As you know, for longer than the Earthlings want to know, their world has been separated into those who know the truth and those who live in illusion. To make the shift from living in illusion to knowing the truth demands a strong spiritual identity and/or a sense of spiritual guidance. Then, as their old version of reality is exposed as a lie, a loving version of truth and unconditional love can embrace and guide them. However, those among them who have some relationship with a higher expression of reality have some connection to a higher frequency of their SELF. This connection serves as their portal into the higher dimensions. Once their consciousness can move through that portal they will have perceptual and experiential proof of higher worlds. One of your tasks will be to assist this ascending ones to listen to their own Higher SELF so that they can move their consciousness into the next level of their awareness. Fortunately, the 97% DNA that has been turned off for eons, is now being turned on by the higher light from the Galactic Center. Once this DNA is turned on, whole brain thinking is restored. Then, left-brain sequential thinking can merge with right-brain imagination to create an opening for multidimensional thinking. With their multidimensional thinking fully activated they will also regain their multidimensional perception. The Truth is best revealed by direct experience. With the 97% DNA online, they will be able to directly perceive the truth that was hidden behind the illusion. Then, these ascending ones will have the opportunity to experience a burst of personal energy they will allow them to see through the illusions. Fortunately, there are also many Pioneers who have been moving through the process of ascension for many years. These brave Pioneers have gone ahead into the unknown and created the first inroads to a new manner of thought. These ascending ones will be able to perceive you, either in their dreams and meditations or even in their daily life. When they can perceive your presence and feel your unconditional love, these brave warriors for the light will feel the support that they have needed. Once you can make a connection with their heart and mind, you will openly assist them to work with Gaia. You will also assist them to hold the Portal of TRUTH open for those who are slowly, or suddenly, coming into the awareness of their own multidimensionality. As you guide these ascending ones, you can counsel them that there is no right or wrong ascension, as ascension transcends all polarities. As you leave, we will give you your specific assignments regarding what Scout Ship to board and in which area you begin your service. Some of you will remain on the cloaked Ship and bi-locate to your assigned areas. Others will remain on the Ship and send telepathic messages to find those who are open to that type of communication. Finally, others will actually land on the planet, but in a frequency that is out of sync with third dimensional consciousness. Hence, only those with multidimensional perception will be able to recognize your presence. You have all been specially chosen for this assignment. Therefore, we know that you will be able to fulfill your assignment. We send you our blessings and will let you know when you are to return to the Mothership to debrief your experiences. We are with you always. Your posts are each so pertinent and timely, words cannot describe how appreciative I am / we are. It's an enormous task and you are doing such an amazing job transcribing for our multi-dimensional selves .. thank you! !